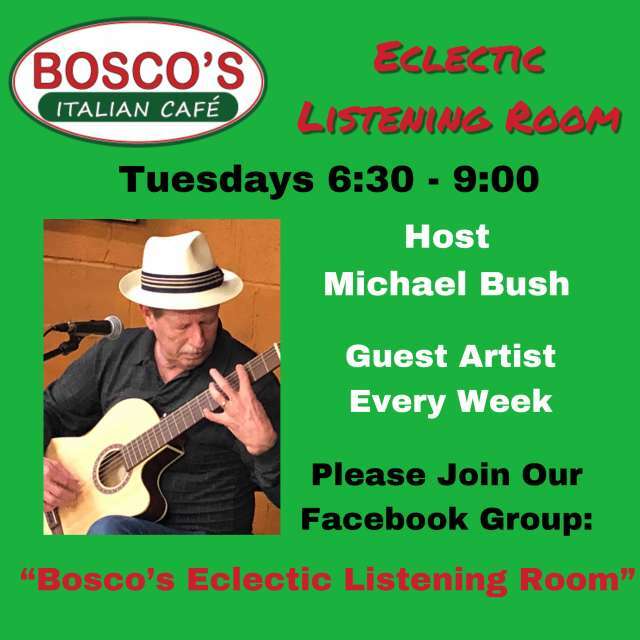 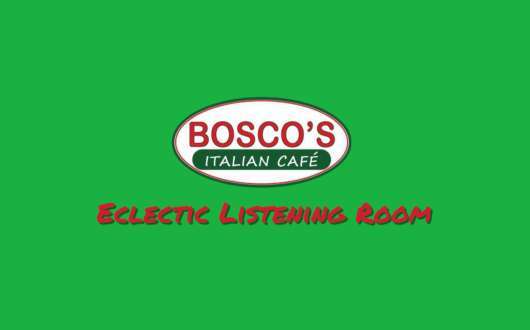 In Bosco's Italian Café's Listening Room, guests are invited to enjoy dinner with music by guest artists from a variety of eclectic genres. 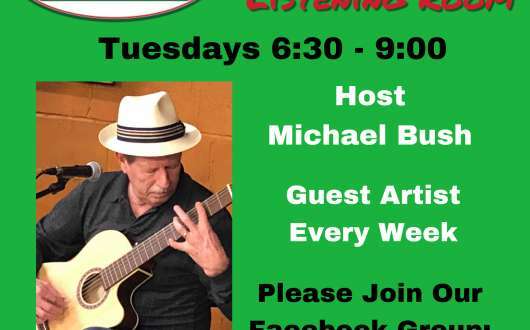 Most evenings will be hosted by Michael Bush, who performs a mix of singer-songwriter tunes, classical guitar pieces and some light jazz favorites. Note: Guests are encouraged to refrain from speaking while music is playing except for quiet interaction with the service staff.